Melodic death metal fans should pay attention to Diesear. Hailing from Taiwan, the band is paving their own success through two album releases, The Inner Sear & Ashes of the Dawn, managing their own record label, Meteora, and making waves in the music scene in venues across the region and beyond. Diesear is an awesome band that you’ll want to check out via iTunes and Spotify. In the meantime, check out the interview with Kraken Music Media. Great sound. The guitar work, vocals, drums…it’s all impressive. How did Diesear come to be? Did the band form over a lack of metal bands or music in Taiwan? Was Taiwan lacking metal music and bands similar to bands like In Flames or Soilwork? 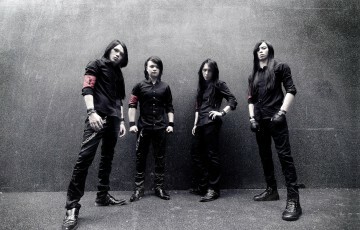 Diesear: Diesear was established by guitarist, Sui, and vocalist, Kurenai, then we met other members, like guitarist, Chris-J and drummer, Amo. 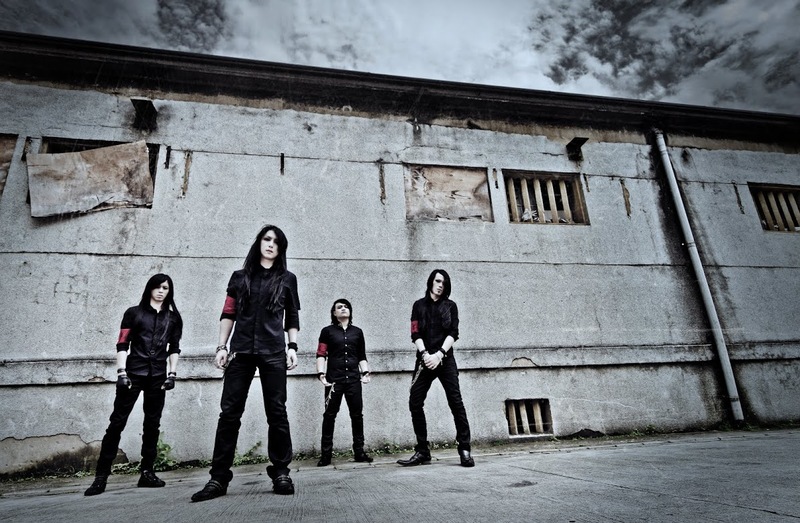 Diesear: We started in a really intriguing time in the Taiwan metal scene. Bands that play Scandinavia Melodic Death Metal like In Flames is very rare in Taiwan. We were just in the middle — between Power Metal and a more aggressive music style. In the early years of Taiwan, Power Metal became to be the “representation of metal music”. Diesear started at this moment and before the new style of metal music took off, like Metalcore and American New Wave. For us this is the kind of music we love and influences us. We’ve become the pioneer of Melodic Death Metal in Taiwan. But the good thing is the metal scene in Taiwan is much better than before, and we see more and more potential bands come out. Diesear is such an interesting name. Dies means “day” and Sear means “marking”. Where did the name come from? Is there a specific meaning behind “Day of Marking “ that drew the band to this name? Diesear: How “Diesear” came about you’ll have to ask Sui. Because this is his idea. We thought, “does music influence people and reverse all the unjust between rich and poor? Also, does it mark a sear to the people who like our music?” We hope the music of Diesear could move beyond politics, commerce, nations, and races. Those things only disunite people and go further to cross or place barriers between nations and humans. So we decide to name ourselves “Diesear”. Hopefully, we can achieve something great, to let people understand that music should be able to cross barriers and dissensions. You guys have your own record label, Meteora, and you mentioned it in an earlier interview in April. What plans does your label have coming up for the remainder of 2015? Are there any local bands you’re focusing on or looking for, or is the label interested in international bands? Diesear: We are going to release other Melodic Death Metal bands in 2015. Not only Taiwan metal bands, but we also signing up with few European bands. Hopefully, we can have Eastern metal bands communicate with Western metal bands and create a whole new era of heavy metal culture. The most important thing is the new Diesear album. We are working hard to make our new album. Hopefully, we can release it in 2015. Will Meteora be looking for bands in the similar genre, or will fans expect to see a branching out of different genres (example: metal, thrash, alternative, punk, and etc.)? Diesear: Basically, Meteora Records is not limited by music styles. There are a lot of European, American, and Japanese bands in discussions with us about our label and trying to create some interesting projects. In Taiwan, there is no doubt that we are trying our best to popularize Melodic Death Metal in Asia. But we believe that if the music is full of unique, musical creations, then it will break the barrier between music styles. What was the local response to the release of Ashes of the Dawn? International response? Diesear: Ashes Of The Dawn helped create a lot of miracles for Diesear. We have an incredible ranking in Taiwan record sales rank. After that we got Japan records’ attentions and signed up with them. 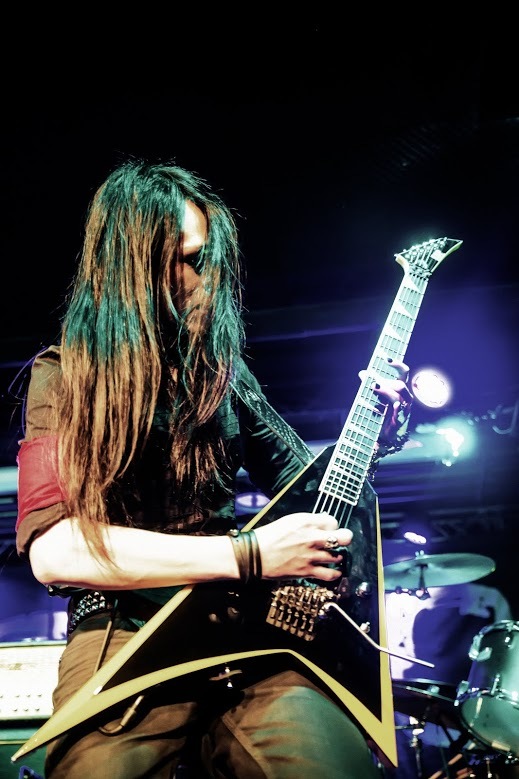 Touring with Children of Bodom in Asia and attending Finland heavy metal fest “Tuska”. During the tour, we had a l ot of support from European and American labels. Funny thing is there are a lot of fans and people who work in labels surprised about Diesear’s perfect interpretation of Scandinavian music as an Asian band. Aside from taking inspiration from bands like In Flames, what other band(s) or artists would you say directly influenced you? Sui: For me, besides heavy metal music, there is no doubt that “Japan Visual Rock” is one of the most important things that accompany my growing background, like: X Japan, Luna Sea, Dir en Grey. Also, At the Gates, Arch Enemy, Dark Tranquility, Randy Rhoads, and Ynqwie Malmsteen influence me a lot. Chris-J: At the Gates and Dark Tranquility are also my all-time favorites. Kurenai: Of course, Japan Visual Rock influences me a lot, like: X Japan and Dir en Grey. Amo: Actually, there are a lot of artists that influence me, because I listen to all kinds of music. But the first thing that comes to mind is Slipknot and The Black Dahlia Murder. Slipknot is the first metal band I listened to. They made me realize metal music can become such a phenomena. The drum of The Black Dahlia Murder shows a really powerful and tight linear composition. What were some of the pain-points you encountered as a band – personal and musical – on Ashes of the Dawn? Sui: The pain-point during this album is that we had to run Meteora Records and educate new bands. At the same time, we had to do our best in this album but still had to face the stress of time. Good thing is we put all of our energy and time to finish the works around all the stresses. Chris: We actually faced a lot of issues during this album recording, like member changes. Too many struggles happened during the process. Such a memorable time for us. Kurenai: During this album recording, I was facing one of the most important things in my life. But I made it through and finished this wonderful album. Amo: I always had an inspiration but lost it in the next second or it wasn’t fitting in the songs. So I kept modifying, sometimes it made everything go wrong while recording. Which song(s) are your favorite to play and why? Sui: “Dying Dust” because there are a lot of stories behind this song. Also, there are a lot of versions of this song. Finally, we chose the one that everyone is able to listen to now. Every single note and melody has a very deep emotion and background. In tours, this is the song that can easily let everyone get to know Diesear. We don’t expect to use the most violent song to interpret Diesear because we believe music is not only violent but also emotional melodic that can evoke more sympathy from people. Chris: “Silent Division”. This is the first song of Diesear composed by me. Amo: “Shadow of Grey”. The emotion is very strong and the speed of the drums is faster than normal. This song really shows the strength and beauty of Melodic Death Metal. For the next album Meteora and Diesear puts out, what can fans expect? Diesear: There are three more bands that are going to release an album in the next four months by Meteora Records, including two melodic death metal bands from Taiwan and one European band. That will be a whole new scene. The new Diesear album will be much more violent and tragically beautiful. That will be a totally new style and Diesear. There are also new tours scheduled for Diesear to be announced. Stay tuned!